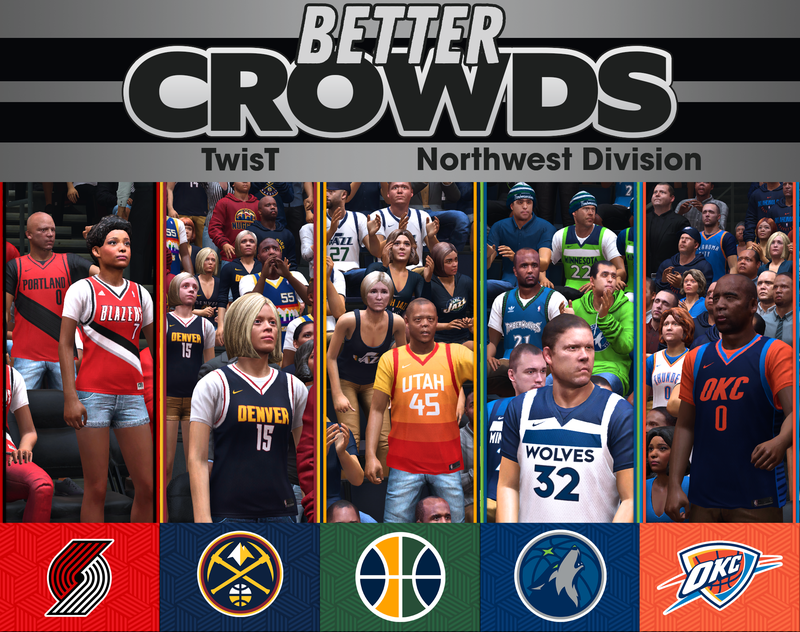 This updates the crowd for the Northwest Division teams. Fans now wear real player jerseys and team apparel. Includes updated big heads.